If your heart turns away …to bow down to other gods and serve them, I declare to you today that you shall perish. My daily life is filled with gods to whom I bow… Security; Approval; Comfort; Convenience; Enough stuff. I regularly serve them, anxiously striving to obtain them. Moses’ sermon here in Deuteronomy challenges us to “Choose life”. I want life. I want to choose it…. BUT, I also really want security, approval, comfort, convenience, and enough stuff. Jesus continues in his sermon in Matthew to list the demands of the law including some explanations that make them even more unachievable. I want to be righteous… BUT, I also want to continue to be angry about a certain someone’s passive aggressive comment about me …or that one who challenged my qualifications… or, that dirty rotten rat who turned me in to Mrs. Benson in 5th grade. You get it, I love to hold grudges. Regarding last week's reflection, my husband said “I don’t remember Luther saying anything about cannot by my own understanding or strength be salt or light”. I’m not sure if he meant that or just wanted to poke my supposition that everyone reading the piece knew I was paraphrasing Luther …point taken. So, backing up for last week, and preparing for this week: The Small Catechism is a teaching tool Martin Luther developed for use by families to teach children about faith. Luther divides the 10 commandments, Apostles’ Creed, Lord’s Prayer, Sacraments (Baptism and Holy Communion) into parts, and then asks the question of each part: Was bedeutet das? What does this mean? … the German means “what does this mean?”. Luther goes on to answer with an explanation that enlarges and develops what those few words say into a way of life as a disciple. So, for the third article of the Apostle’s Creed: I believe in the Holy Spirit…etc, Luther’s explanation says that I believe that I cannot by my own understanding or effort believe in Jesus Christ my Lord or come to him. But the Holy Spirit makes that possible for me by calling, enlightening, sanctifying, and keeping me in faith. So, in last week’s reflection, I was saying that it was impossible for me to be salt or light by my own effort; that I needed the Holy Spirit to do so. And I paraphrased Luther to say that. Like Jesus, Luther, in his explanations of the commandments, expands the meaning beyond the simple words of the commandment. His explanations are written in a formula that makes it easier to remember them. We are to fear and love God so that we don’t do “x” but we do “y”. We are to fear and love God, so that we do not tell lies about our neighbors, betray or slander them, or destroy their reputations. Instead we are to come to their defense, speak well of them, and interpret everything they do in the best possible light. I am pretty good about not telling lies or slandering others…but that “instead” part? I do not interpret everything everyone does in the best possible light. Cynicism runs strong in my blood. 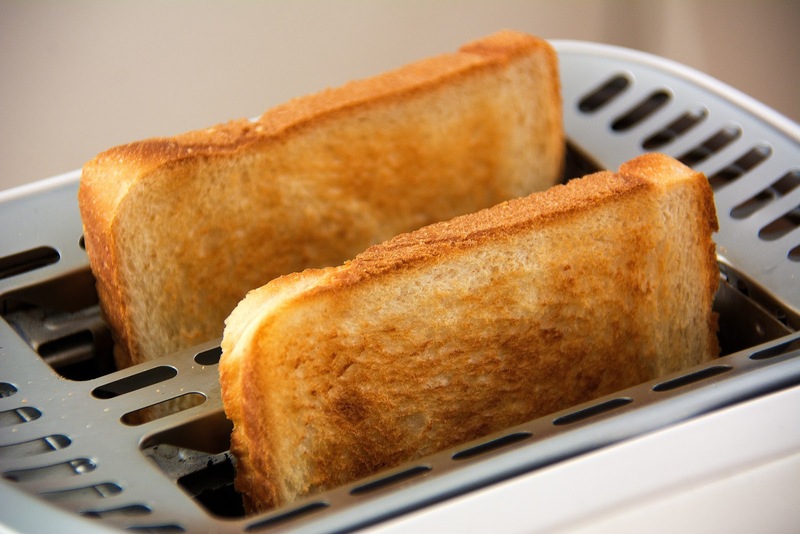 Moses, Jesus, or Luther…I’m still toast. And that, my dear readers, is the point. There is no way for me to fulfill those demands on my own. Those very demands reveal to me that fact - I am toast. Instead, I must fall back into the grace of God through the cross of Christ. I believe that I cannot by my own understanding or strength not be toast…. If you would like to explore the Small Catechism yourself, there's an app for that! Your comments are always welcome. See below. I choose life, but I find myself doing it again and again and again through his Grace as "I cannot by my own understanding or strength". Which for me is politely saying I screwed up again. If only I could hide all the times that I fell off the road of Grace.